I didn’t really know what to expect when I purchased SteamWorld Dig 2. I hadn’t even played the original SteamWorld Dig or any of the SteamWorld series for that matter. What I did know is that it gets plenty of praise. A couple of weeks ago I was listening to the NVC IGN Podcast that had a guest speaker, Brjann Sigurgeirsson who is the founder & CEO of Image & Form. 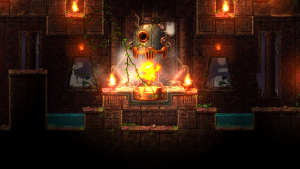 Image & Form is the publisher behind the Steamworld series. He recommended that players new to the series should start with SteamWorld Dig 2 (SWD2) and go back and play the original if you enjoyed it. The sequel has made significant improvements compared to the original. SWD2 had gone on sale the same week I heard the podcast so I figured why not? I debated on getting it at the end of last year but I decided on Rocket League instead. Looking back on it, I probably made the wrong choice. I’m not saying Rocket League isn’t fun but SWD2 is definitely my type of game. 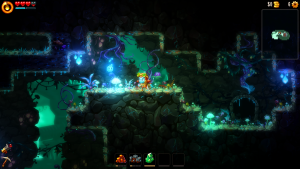 SteamWorld Dig 2 is widely labeled as a “Metroidvania.” Some simple investigative work suggests that it has to do with Metroid and Castlevania. These two franchises are classics of the sub-genre and will probably always be referenced to for such games. Basically, you’re platforming around in a 2D world exploring the map and uncovering power-ups as you go. Usually certain obstacles will block your path until revisit them after getting a new power-up that allows you access to those restricted areas. It is a classic and timeless sub-genre of gaming that is very nostalgic for me. I was lucky enough to play Super Metroid as my first “Metroidvania” game. If you’ve never played a Metroid game, it’s awesome; you’re a space bounty hunter running around an alien planet blasting creatures with your plasma canon. 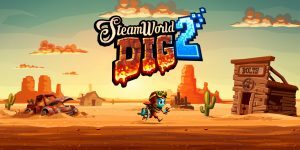 Such a classic game needs no such review, however and I don’t know why I didn’t play SteamWorld Dig 2 Sooner. 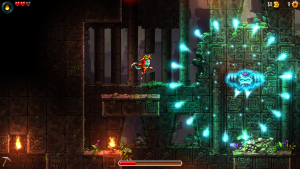 At first SteamWorld Dig 2 didn’t feel like a Metroid or a Castlevania game. This game felt more like Minecraft and Terraria in the beginning. The Metroidvania formula is partly to blame for this. 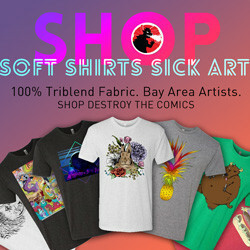 In this sub-genre you start off with little to nothing. You’ll normally get a simple attack to get you by and a limited amount of health. This teaches the player to be cautious and experimental at the same time. Faster than it took to download, I was fixated on digging. Jesse Pinkman might take me for a meth head but I just wanted to cash in more ores for cash so I could upgrade all of my equipment. But really, I enjoyed delving into caves full of puzzles I had discovered and getting lost in my expedition. The difference between Minecraft and SWD2 is that these caves aren’t randomly generated or endless. It’s bitter-sweet like remembering you have to go back to work in a couple of days after being on a tropical vacation. You’re sad that your time is coming to an end but it’s a reminder to indulge and enjoy the time you have left. Definitely felt that with Breath of the Wild. Sad to say I ran out of places to dig before I knew it. Well for productivity’s sake I should be glad the game is more linear. More than likely you’ve already spent some capital and upgrade points after unearthing a good amount of ores and discovering secret passages. 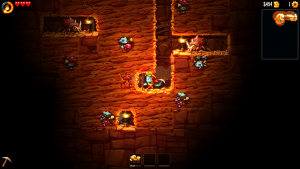 SteamWorld Dig 2 doesn’t let you go far without giving you new tools. With these new tools You’ll be able to explore new areas that were previously inaccessible. Eventually you’ll be flying around with a jet pack avoiding lava pits and exploding bats by punching them in the face with a hook-shot. The upgrades kick up the action real fast. The funny thing is that I actually created an efficient tunnel system for travel. I wanted to be in and out mining resources as fast as possible. The underground world is vast and huge so thankfully we get fast travel points to move between certain sections of the cave. A game changer: the hook-shot because it revolutionized vertical travel in-game and even more so when the jet-pack is introduced. So my tunnel systems quickly became obsolete but I was having too much fun to care. At this point we were in full on Metroid mode. My biggest and really only complaint is that as you get upgrades and powers the game becomes more of a total cakewalk. Nothing really felt challenging in SWD2 once you get pretty deep into the skill tree. I would have liked to see the difficulty scale along with the player’s level with a wider variety of enemies. In general, the variety in enemies is lacking and that’s probably the biggest differential between this indie title and a triple A one. It should be known that there are “upgrades” available in the game that increase the difficulty of the game, but that would require me to spend more upgrade points. Why would I want to make my enemies explode on death when I can fly infinitely instead? SteamWorld Dig 2 is a blast and it seems the game doesn’t want to interrupt that with frustration. It might have been a design choice by the developers, but the difficulty did make the game run a bit short for my liking. The great thing about this game is that there are plenty of secrets to go back and find post game. (Yeah the boss was a piece of cake and was kind of anti-climactic but still fun.) So all the extra treasure hunting makes up for some of the lack of challenge. I only discovered about 60 percent of the secrets in the game after a 10 hour play through. Similar to Metroid games I ended up flying around opening up all parts of the empty mini map and actually found a locked cave in the process so there’s another objective I’ll have to uncover. This game rewards you for looking in suspicious areas so I’m always finding new things. Including a post game upgrade that I’ll leave for the players to find. It’s always great to have a reason revisit earlier stages. SteamWorld Dig 2 is a mouthful to say, but is a damn good game. It’s a traditional with an original twist. 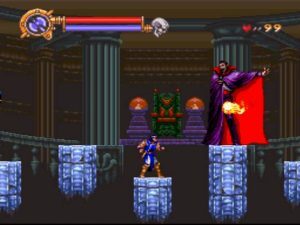 It pays homage to the Metroidvania genre while respecting the classics. It stays away from the space and horror themes of the originals and stays in its own lane. It’s a good mixture of solid game play mechanics and controls that are precise and fluid. 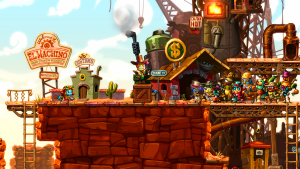 SteamWorld Dig 2 is spiced up with a charming and timeless art style. 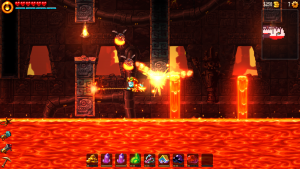 The characters are colorful and the upgrades are frequent. Unfortunately the game plays out to be a little on the easier side but this game will cost you less than a nice dinner out. 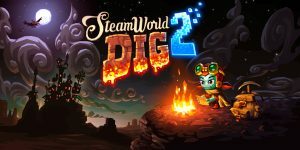 SteamWorld Dig 2 will set you back under 20 bucks on the Nintendo E-Shop as a digital download and is available on almost every current platform. You can also buy SWD2 for PS4 on Amazon here or for Switch (though it’s a bit more expensive) on Amazon here. Personally, I felt SWD2 is perfect for the Switch and looks great in handheld mode.